I KNOW my birthday isn’t until the 28th (and that day I have a really big test… great timing!) BUT I opened one present today! 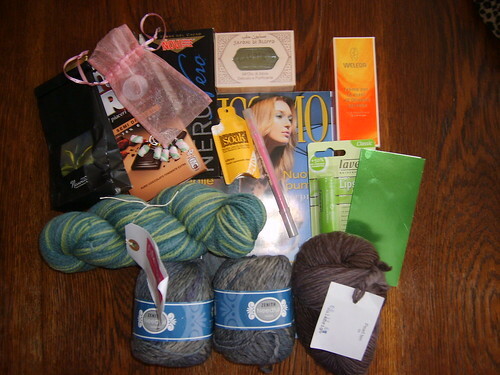 I joined a Birthday Swap on Ravelry and was paired up with a girl that lives in Italy ans has the same birthda. Today I got my present and just needed to get a little brake from things so I opened it and BOY did it make my day! 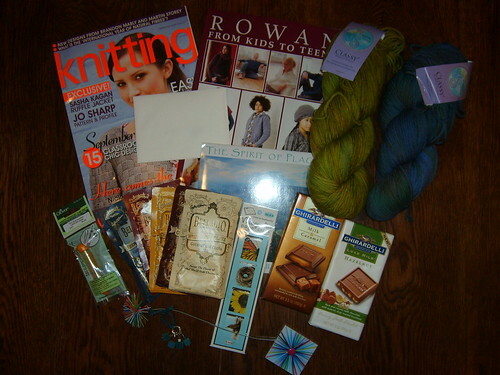 2 skeins of Needful Yarns, wool. Posted in life and tagged swap. Bookmark the permalink.